Fast f/5 and telecentric for a f/10 PST mod? - SolarChat! Fast f/5 and telecentric for a f/10 PST mod? Re: Fast f/5 and telecentric for a f/10 PST mod? Interesting reading.Need more posts like this. Common barlows don't have a constant 2x factor when you move further away, so I guess it must be the telecentric type. Check the Powermate ones . They are the only one that provide info on their real focal length and there is a a chart with the mag. factor according to the distance . Hello Neo! Thanks for your link to this great forum! 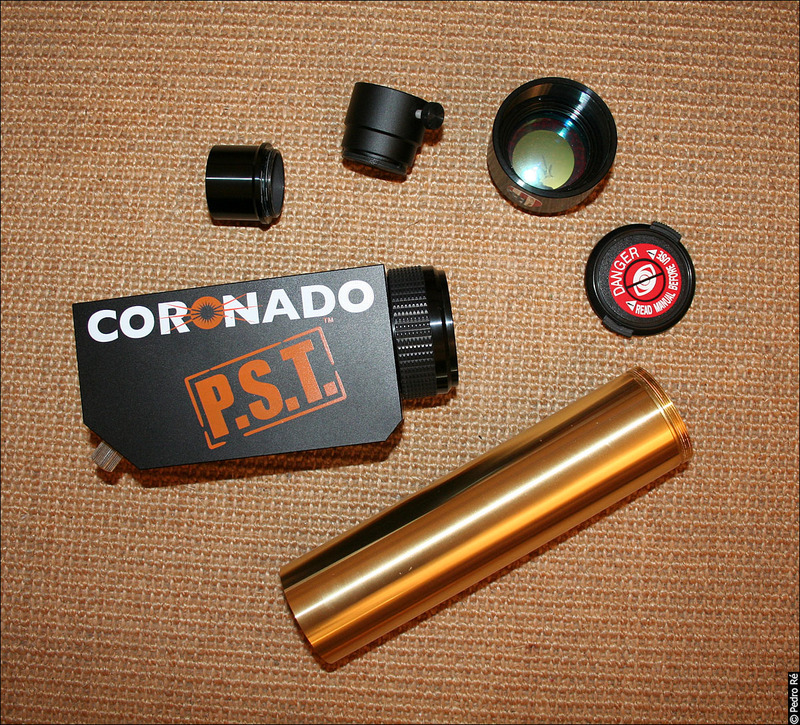 I was thinking: I see your PST etalon is behind the focuser. 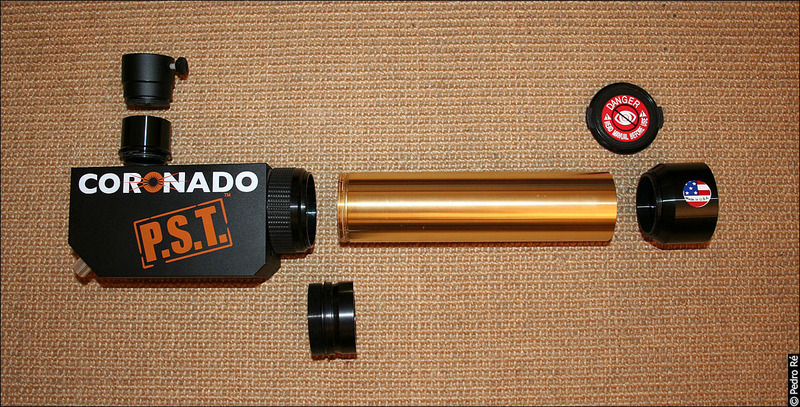 Therefore changing focus means moving the etalon away from the ideal position of 200mm inside focus. 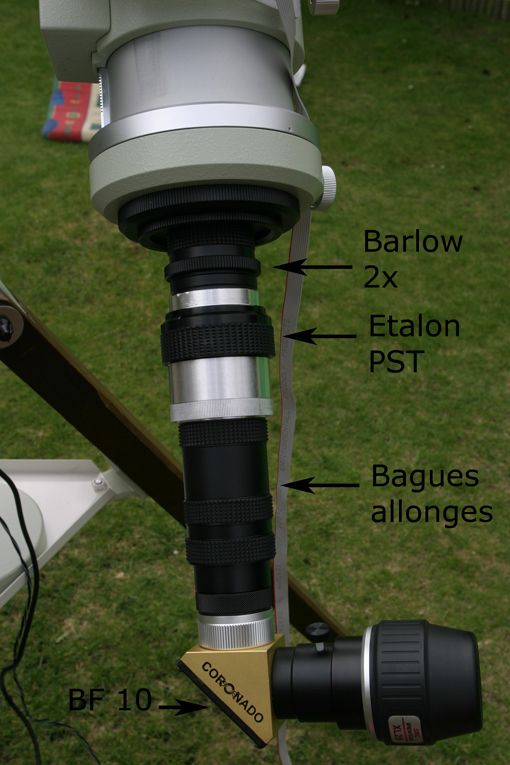 Your current setup may keep the etalon pretty much at a right position, but mounting a Barlow directly in front of the etalon might cause a "etalon ideal position" issue, resulting in a low detail image. You might check if everything works out ok by adding a barlow in front of the setup you already have, before cutting up a new refractor. 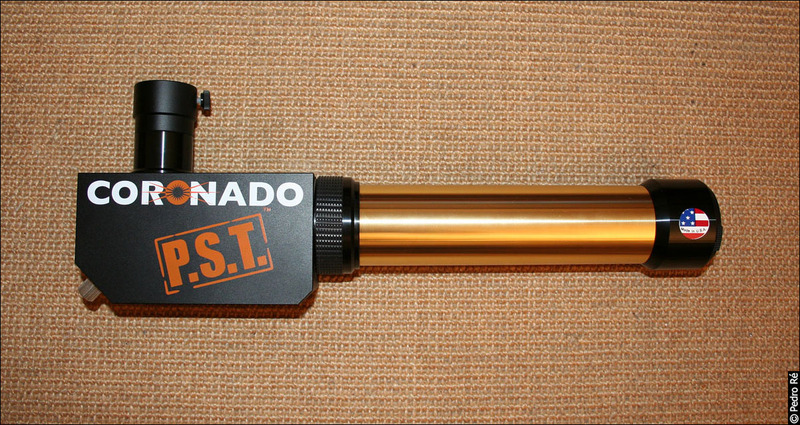 The reason for the "majic number" 200mm is very straight forward. The front of the PST etalon has a barlow lens which is....you guessed it -200mm focal length; this means to present a collimated parallel beam through the etalon it MUST be placed 200mm inside the prime focus. On the rear of the etalon...there's a positive lens (yes you guessed correctly!) which is 200mm focal length. 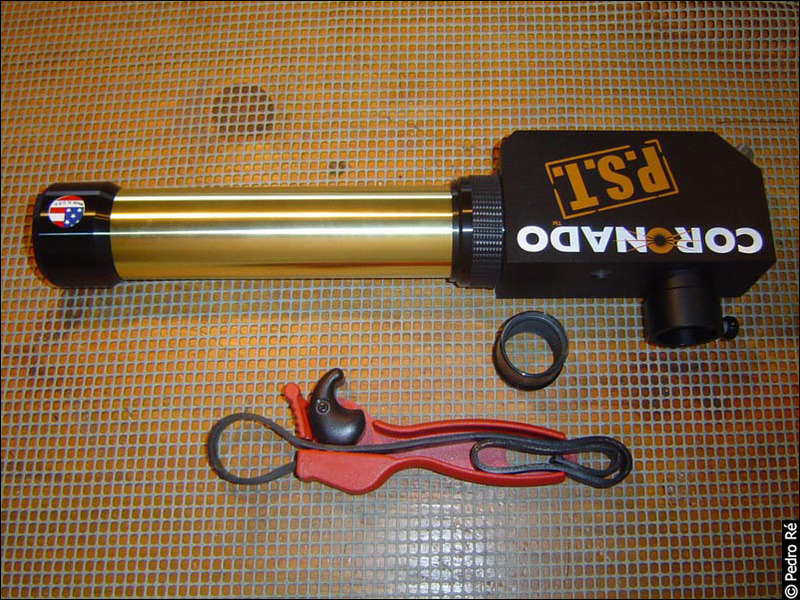 So, if the final focus is 200mm behind the etalon you'll be pretty much assured that the etalon is in the correct position. If you do want a challenge try a double stacked PST etalon design!! thank you very much. I would like to have your essai. I thought my email was in the profile data??? 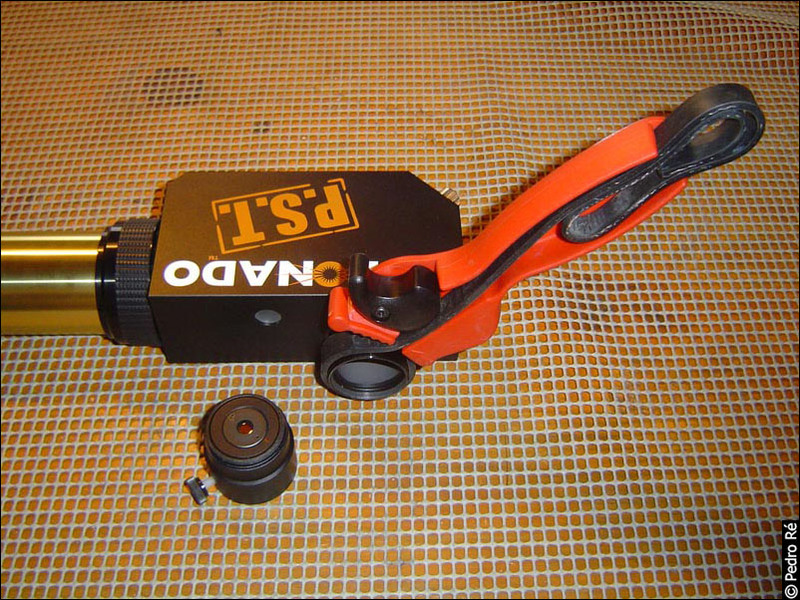 based on the mods done to date, there seems to be about a 3-5mm tolerance band before you get collimation problems with the etalon.